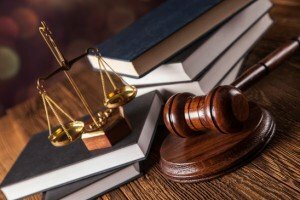 Finding an experienced San Diego probate litigation attorney to handle will contests or trust contests can be difficult because this is not a widely practiced area of law. As a result, many attorneys have very limited experience with probate litigation. Harold G. Ayer is a State Bar of California certified specialist in Wills, Trusts and Probate Law and has handled many cases involving will contests and trust contests in California courts. Will contests and probate litigation in San Diego typically occur because someone has unduly influenced the creator of the will (the Testator). Undue influence is when the testator has been influenced by someone in order for the influencer to be included in his or her will, often to the detriment of another heir or beneficiary. For example, undue influence can occur when one sibling is taking care of mom and making many decisions for mom. That sibling holds influence over the parent and may unduly influence the parent to make changes to her estate plan, including removing a beneficiary or increasing a gift to the sibling providing the care. This may be a legitimate change by the parent. However, it may also be due to undue influence and can lead to other issues, such as financial elder abuse. Some other primary reasons for will contests and probate litigation in San Diego occur due to a Testator’s lack of capacity or duress. If the creator of the will lacked capacity to create the document the will may not be valid. Further, if the creator of the will was under duress when creating the document, the will may not be valid. Contesting a trust in San Diego requires a thorough understanding of the nuances involved in California trust litigation law. The same categories apply to trust contests as to will contests listed above, such as duress, undue influence, and lack of capacity. However, unlike will contests that often deal with the creation of the will, the main issue with trust litigation typically involves a failure of the trustee to meet one or more of his or her fiduciary duties. (This is why trustees should seek out legal counsel on trust administration). A trustee is a fiduciary, and is held to a high standard. One of the primary responsibilities of the trustee of a trust is to follow the trust instructions provided by the Trustor or Settlor (creator of trust). Failure to follow the provisions of the trust may lead to trust litigation. The trustee has a duty to administer the trust for the sole benefit of the beneficiaries. A beneficiary can sue the trustee if the trustee has violated his or her duty to the beneficiary. Further, a trustee must deal impartially with multiple beneficiaries and not share favoritism. The trustee must not engage in self-dealing of the trust property, such as profiting from the trust assets or acting in a way that is adverse to a trust beneficiary. A trustee has a duty to preserve trust property. A trustee who allows trust property to deteriorate or fails to keep trust property productive may be subject to trust litigation. A trustee has a duty not to commingle trust funds with his or her own funds. Another area of trust litigation is when co-trustees are at odds with one another. Trustors beware: This can be extremely ugly when the co-trustees happen to be siblings with a long history of bad blood. Sometimes it is best to only have one successor trustee to avoid dueling trustees. The responsibilities of a trustee are many. If you are a trustee you should seek the counsel of an experienced California trust administration lawyer. Client’s hire Harold because his is an expert at California probate litigation, Will Contests, and Trust Litigation in San Diego and surrounding counties. He handles his client’s cases from beginning to end with the utmost zeal and tenacity, with an unparalleled commitment to his clients with service second to none. Successful San Diego will contests and probate litigation require a California probate litigation attorney with an extensive knowledge of the California Probate Code, California litigation rules and law and San Diego local rules. With over 40+ years of practice, Harold G. Ayer will provide the knowledge and expertise you need.